Doom Patrol: COMIXOLOGY SALE on Young Animal! War of the Gods has a minor supporting role for Cave Carson, but it's a pretty tenous justification to include them. Plus they're terrible. The Resurrection Man stuff is pretty good and I'm pretty sure that includes the first appearance of the titular Cybernetic Eye. Never looked at that War that Time Forgot. Mildly curious. 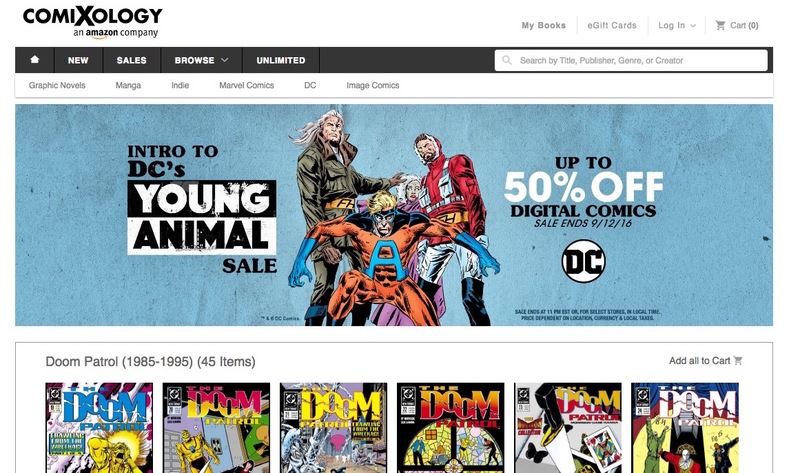 I'm a little disappointed by the limited offering of Doom patrol comics. The Grant Morrison run isn't hard to find in libraries and stores. Would have jumped all over digital copies of the '78 Showcase issues, the Arcudi/Huat run or even Byrne stuff.